The innovative and successful ‘Ceanglaichean Croitearachd - Crofting Connections’ project teaches sustainable farming-related skills to young people, reconnects them with their crofting heritage and promotes entrepreneurial activity in this field. The project stems from the need to revitalise communities in the Outer Herbides, a group of islands in the north west of Scotland. The area is characterised by peripherality which needs to be addressed through the encouragement of an entrepreneurial spirit in the local communities whilst also stimulating employment opportunities to reduce the continuing decline in the resident population of these islands. The crofting heritage project aimed to encourage young people in schools to learn about and become involved in crofting and overall create the opportunities for young people to live and work in the countryside. 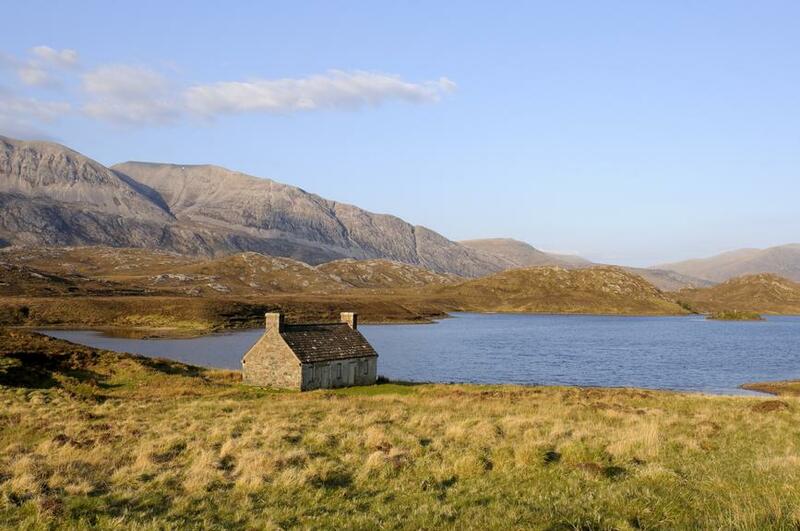 In the Outer Hebrides over 400 young people from 7 schools have participated in this LEADER project through a range of crofting related activities to learn about the connections between food, health and the environment. They learn practical crofting skills from experienced crofters, how to cook traditional recipes, and why crofting is still very relevant. Each school involved in the initiative also maintains a food-growing garden to produce fresh seasonal fruit and vegetables for the canteen. The project has been an ideal way of giving pupils an understanding of the importance of crofting in the context of the history and culture of the island and also of its capacity to support people who live in these areas. It gives direct ‘hands on’ real experiences for the pupils. It also allows young people to learn about the connections between crofting and their rich cultural heritage including Gaelic. The success of the project has led to a Phase 2 project in Argyll and the Islands. Young people are a source of the vitality of rural areas, especially remote or peripheral rural areas. Small scale projects addressing this target group can generate substantial value added in terms of promoting an attractive way of living and working in these areas. Furthermore, support for this project from other LAGs facing similar problems (Argyll and Islands, Cairngorms, Highlands, Orkney and Shetland area) increases its effectiveness. Outer Hebrides & other LAGs in Argyll and Islands, Cairngorms, Highlands, Orkney and Shetland areas.